Low concave upper wall. Rim thickened inward with rounded lip (fire-polished). Faint blowing spirals. Bluish colorless (PMS 656C and lighter), semitransparent. Frequent pinprick and rare medium, elongated bubbles. 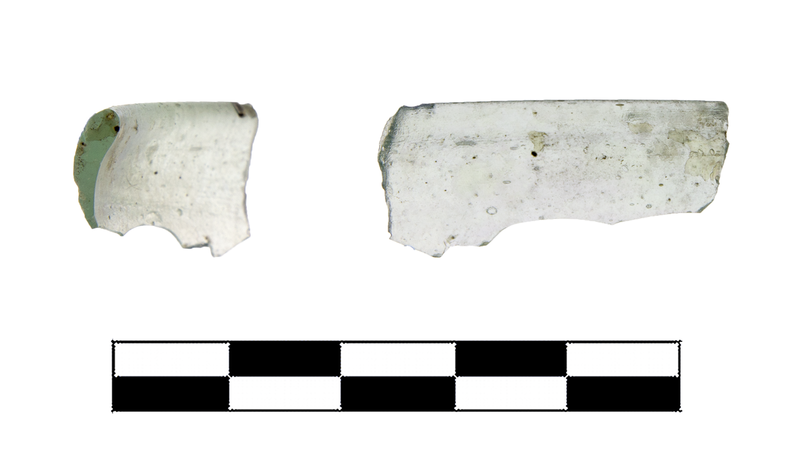 One fragment preserves less than one quarter of rim and small part of upper wall. Slight, extensive dulling and pitting.